Wireless Water Leak Detector DIY designЕelegant appearance; Simple to operate and easy to install; Compatible with the FHSS Wireless Control Panel; Hight sensibility and stability; Activated LED indicator when alarming; 4 ft. leak detection cable. 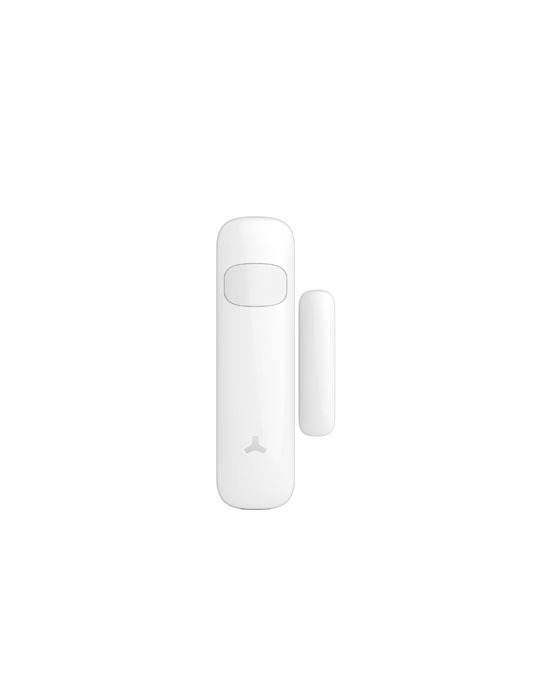 It can detect water leakage immediately and the alarm is activated; Located on the floor below a bath, washbasin, kitchen sink or anywhere a tap could be left running; Cover tamper detection; Low battery alert and periodical supervision; Completely wireless, which greatly reduces installation time and maximizes placement options; Transmit distance: ≤150m (open area); Battery Type: 1.5V AAAA x 2..
﻿Wireless PIR Motion DetectorEasy and fast installation;Compatible with the FHSS Wireless Control Panel; Internal antenna;AA battery, easy to replace;Protect any opening; Low battery LED indication & built-in buzzer alert;Equipped with a cover tamper for additional security; Power supply: AA 1.5V LR6 battery; Transmit 2*distance: ≤80m (open area); Installation: Double-sided tapes..
Wireless Outdoor Siren Simple and easy,cabling-free installation; Loud 115dB piezo siren; High power strobe light (red or blue lens); By triggering an audio-visual signal to your neighbors and deter intruders Siren alarming duration and volumе setup by jumper; Network mode & standalone mode for choice, Compatible for all FHSS alarm system & accessories; Frequency Hopping Spread Spectrum FHSS technology -provides robustness and reliability closer than ever to wired; Siren alarming Duration: 30secs / 2 mins / 5 mins; Siren Volume: High / Low / Mute;Robust weatherproof housing (IP56); Tamper protection; 3.7V/2200mA rechargeable lithium backup battery for 8 days standby; Power Supply: 12V/1000mA (not included)..
Wireless Gas Leakage Detector Plug & Play device, easy to install; Compatible with FHSS Wireless Control Panel; Unique design, easy installation; LED circle in 2 different colors indicate the gas detector status; One single touch to turn on/off the LED indicator; Replaceable plug, more flexible to change; Adopt advanced sensor with high stability; Auto reset when density returns to normal; Power supply: 100-240V 50HZ; Gas type: Natural gas ; Alarm density: 8% LEL; Buzzer sound: 90dB ; Transmit distance:≤150m(Open area); Working temperature: 0℃--55℃; Can work in standalone mode without the need to connect to control panel.Google Play..
Wireless magnetic contact for shutter doors Easy and fast installation; Internal antenna; AA battery, easy to replace; Protect any opening; Low battery LED indication & built-in buzzer alert; Equipped with cover tamper for additional security; Power supply: AA 1.5V LR6 battery; Transmit 2*distance: ≤150m (open area); Installation: Double-sided tapes..
Wireless magnetic contact for metal doors Special for metal door or window; Internal Antenna; Low battery LED indication & built-in buzzer alert; Equipped with cover tamper for additional security; Voltage: DC 1.5V (AA LR6 Battery); Transmit distance: ≤150m (open area); Material: Metal plating; Installation: Screw installation..
Wireless door/window sensor Easy and fast installation; Internal antenna; AA battery, easy to replace; Protect any opening; Low battery LED indication & built-in buzzer alert; Equipped with a cover tamper for additional security; Power supply: AA 1.5V LR6 battery; Transmit 2*distance: ≤150m (open area); Installation: Double-sided tapes..
Wireless KeypadAdvanced FHSS technology for anti-interference and more stable; DIY installation without wired cable; Button-touch keypad, 3 colors LED indication; Password protection more secure; Activate button to save power; Compatible with all FHSS alarm system & standalone siren;Arm,Disarm & Home Stay buttons activated by password 50 pcs RFID cards/tags can be expanded;Mounted at Entry / Exit locations; Battery Life: standby 1 year; Transmit distance:≤150m (open area); Battery: 3 x 1.5V AAA LR03 Battery..
Smart Sensor-PIR Motion Detector & Door/Window SensorCompact Design & Easy to install Compatible with the FHSS Wireless Control Panel; Activated LED indicator when alarming; Specifically designed for request-to-exit applications combines a PIR motion detector & door/window sensor; Detects the opening or closing of a window, door, gate or roller blind; With a customized lens for pet immunity at 1.7-meter height upside down installation; PIR sleeping mode for low-power consumption; Capable of on-demand status and low battery updates; Low powered signal ensures batteries last on average 2 years ; Cover tamper detection, low battery alert, and periodical supervision; The maximum operating gap of reed: 2cm; Max. recommended mounting distance from receiver: ≤150meter in open area..
﻿Remote Control 4-Button, two-way multi-function keyfob Compact, easy to carry design; Pleasant to the touch; FHSS frequency hopping Spread Spectrum technology provides robustness and reliability closer than ever; Transmission ranges greater than industry standard; Remotely arming/disarming the alarm system, trigger emergency panic SOS button; 10 remote control can be renamed once paired to control panel; Up to 2 years, long-life 2* CR2032 lithium coin battery included; Transmit distance:≤150m(open area); Max. recommended mounting distance from receiver: 80meter in open area; .. It integratеs аlarm system, camera, PIR sensor, temperature & humidity sensor and SOS emergency strike packed in only one device. 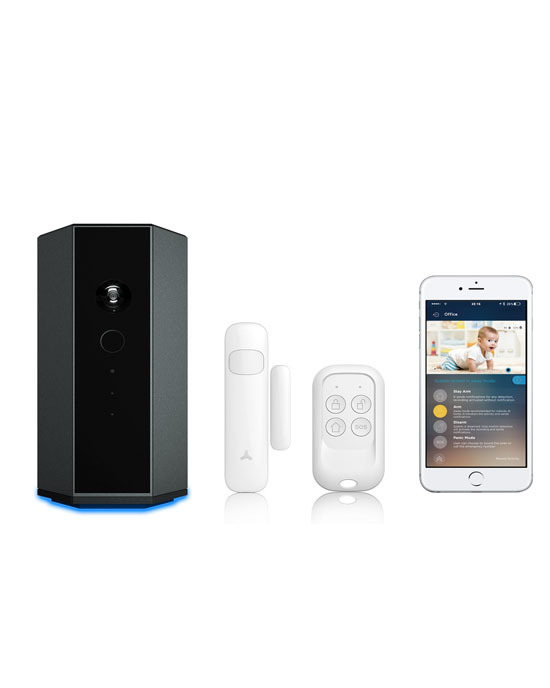 N8 wireless WiFi alarm system - 1 pcs. Wireless door/window contact + vibration detector - 1 pcs. Remote control - 1 pcs. 16GB memory card - 1 pcs.